Birthday dinosaur, perfect for your little archeologist's birthday celebration. Alternate fabric colors are available upon request for addition custom order charge. 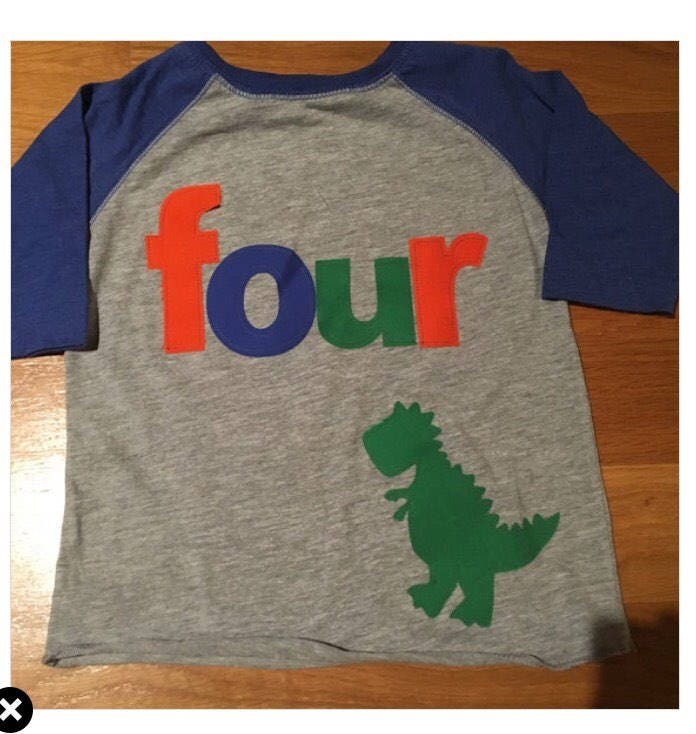 Perfect for my son’s dinosaur birthday party! Everyone loved it! Perfect!! Linus loved wearing it for his 4th Birthday! !